Dubucand, along with Pautrot and Moigniez, created some fine models of birds during his career. This bronze is of a Cockatoo bird, shown as he preens his feathers. Cockatoos are members of the parrot family and are originally from Australia and the islands nearby. They are fairly large birds with a feathered crest on their heads and a strong beak. Cockatoos are often kept as pets and these intelligent birds have long lives and bond closely with their people. The 1970s TV police show Baretta featured Fred the Cockatoo as the main character's pet, and Cockatoos have been used as mascots for businesses and featured in artwork for many years. 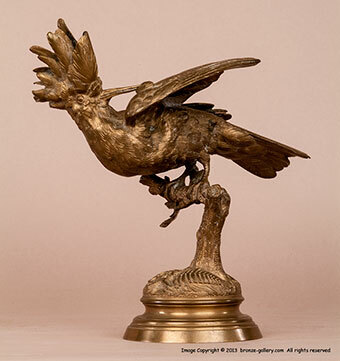 This fine bronze is a rare model not often found on the market. The large bird reaches back to clean his feathers as he rests on a branch. 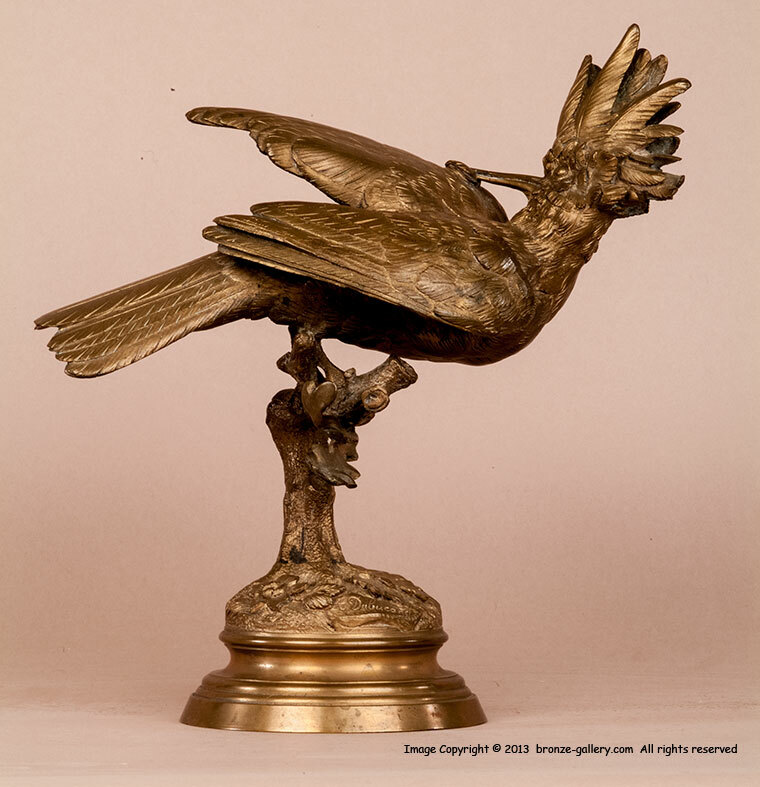 The bronze has a warm gold gilt patina with sharp details in the feathers and branch he is perched on. A wonderful subject that will not make any noise, unlike a live Cockatoo!